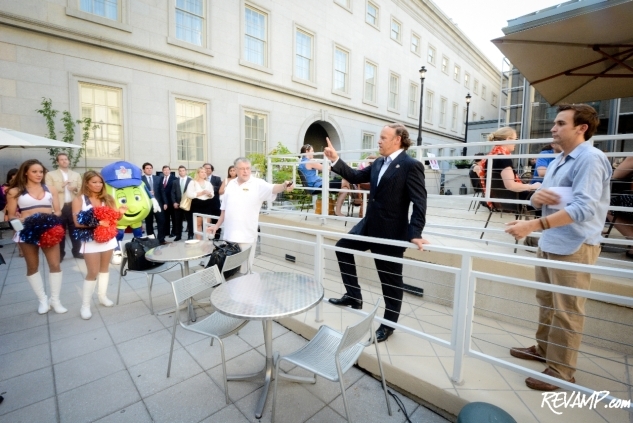 Undefeated Washington Kastles Kick-Off 2012 Season With Party At Poste; Charitable Celebrity Tennis Match Announced! Washington Kastles owner Mark Ein and mascot 'Topspin' give an enthusiastic thumbs-up to the team's 2012 season prospects. 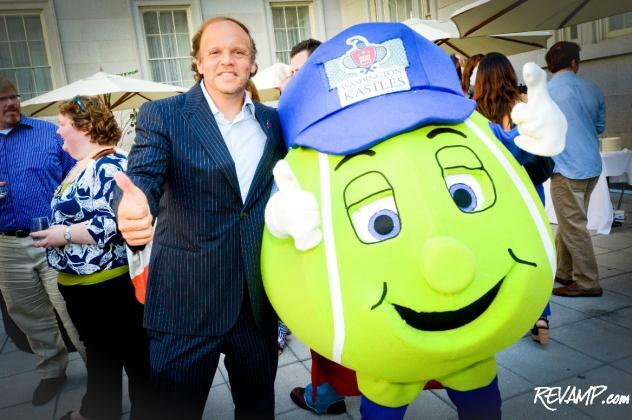 PENN QUARTER -- It�s safe to say that 2011 was a banner year for the Washington Kastles. The District�s professional tennis team christened its new home on the Southwest waterfront, scored a visit from the First Family, and topped it all off with a perfect season for the first time in World TeamTennis history. Councilmember Jack Evans happily mingled with guests. And in anticipation of lightning striking twice with five of six players from the 2011 team returning, Kastles owner Mark Ein invited an intimate group of friends and family to Poste Moderne Brasserie early Monday evening, for a festive party celebrating the start of the 2012 season. 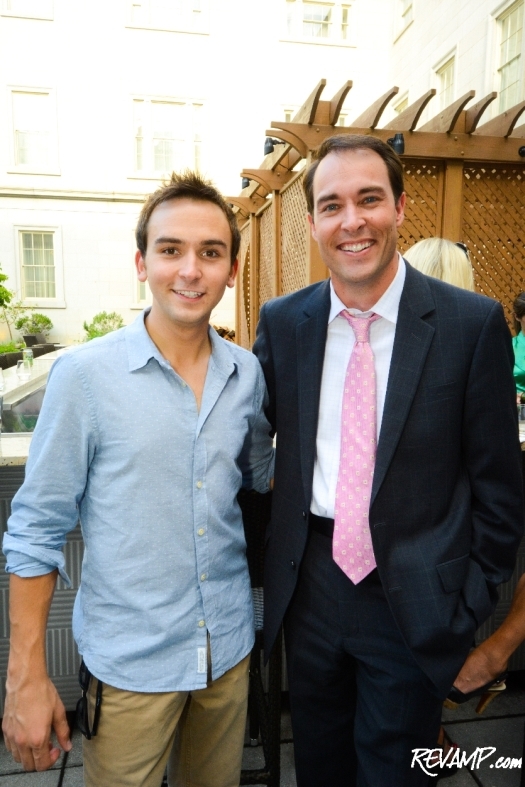 94.7 Fresh FM radio host Tommy McFLY and ABC 7 anchor Scott Thuman. Hosted by 94.7 Fresh FM radio host Tommy McFLY, the party guest list included a diverse group of media, political, and business notables � all of whom turned out to wish the first undefeated professional sports team since the 1972 Miami Dolphins luck in the weeks of gameplay ahead. 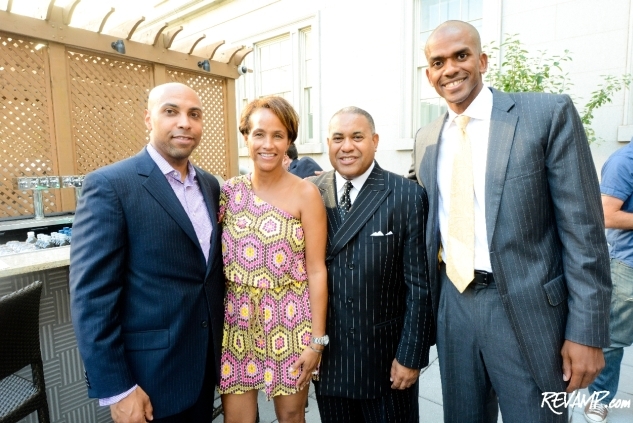 Yesterday�s outdoor summer soiree also served as the launch platform for the return of the Kastles� signature charity tennis tournament on Tuesday, July 17th. Benefitting the Tragedy Assistance Program for Survivors (TAPS), Share Our Strength, and the D.C. Public Education Fund, next week�s benefit match will boast a who�s who roster of Republican and Democratic members of Congress, diplomats, members of the Obama administration, media personalities and Kastles players. Team owner Mark Ein addresses the crowd. Spoken like a true champion. And an undefeated one at that!